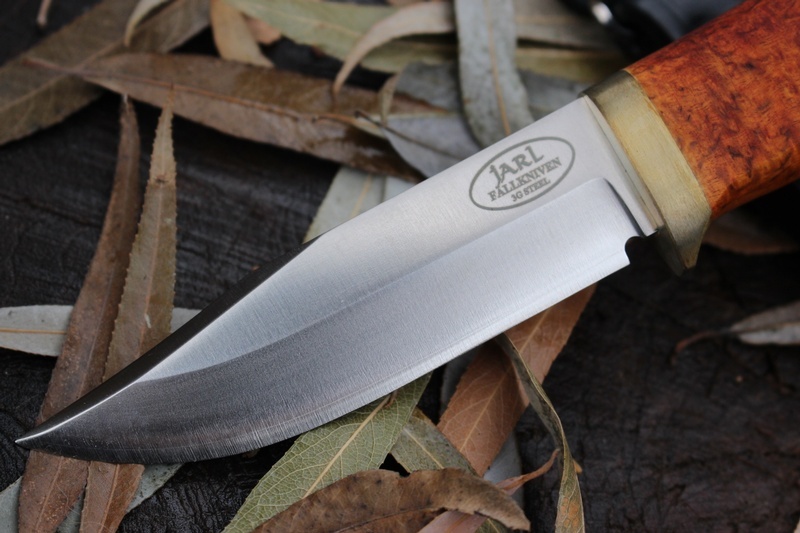 This is the same as the standard knife, but has a deep lustre, darker Curly Birch handle. Fallknivens newest Fixed blade is a truly 'Swedish' inspired design, incorporating both traditional and modern materials in a beautiful balance. 3G laminate powder steel blade to 62HRC, the best modern steel available fitted to a traditional oil treated curly birch handle. Solid nickel fittings bind the ancient and modern. A truly unique knife. Comes with low slung, scandi style leather sheath. 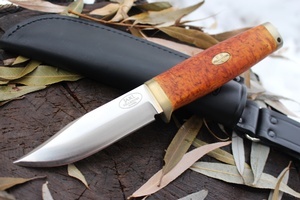 Overall length is 210mm, blade is 100mm, 4.5mm thick. Purchase through PayPal by using the "Add To Cart" button above or use the form below to order the Fallkniven Special Edition SK1 . 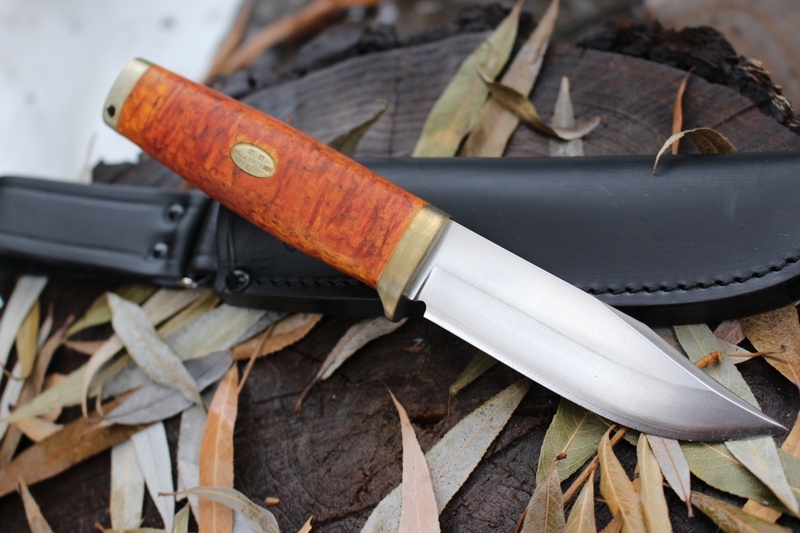 Feel free to contact us if you have any questions about the Fallkniven Special Edition SK1 .